Indian Institute of Management (IIM) Indore is the sixth Indian Institute of Management, which came into existence in year 1996. The institute has been on the path of success, since its inception and was ranked 4th among top 50 business schools of 2011 in India. The school is known for providing quality education in the field of management. The institute was designed in order to give a drift to management education in India and to prepare future entrepreneurs for a better future of the country. IIM Indore offers a wide range of Management Programmes. Institute's achievements in such a short span of time can be attributed to its innovative spirit, its will to excel, and, to a great extent, to the relationship it has developed with the Indore community. Candidates are admitted through the regular admission channel that is based on the applications received through the Common Admission Test (CAT) conducted by the Indian Institutes of Management (IIMs). Along with the CAT scores, candidate must be graduated in any discipline with minimum 50% marks (45% marks for reserved category) from any recognized university or those appearing for the final year can also apply. Applicants willing to seek admission in the IIM Indore can register through online or offline process. Application forms will be available on the official website of the institute. Final selection will be completely done on the merit basis and will be called for Written Aptitude Test, Group Discussion and Personal Interview. The course fee for resident Indians (for two years) is Rs. 13, 00,000/- and Rs. 19, 50,000/- for NRI Candidates. The institute’s campus is located near Agra-Mumbai highway, which is 19 km away from the Indore station and 25 km from the airport. The campus is sprawled over a huge area of 193 acres of land with beautiful surrounding that give the perfect environment for some higher management studies. It features well maintained campus that has high-quality computer library, conference halls and contemporary class rooms. The Library resource includes over 15000 books in the area of Management and related subjects, 425 journals. The institute also offers separate hostel facility for boys and girls. The rooms are airy, well ventilated and cozy. There are 11 hostels for each housing 60 students. Average salary offered is 15.1 L p.a. and highest salary offered is 34 L p.a. 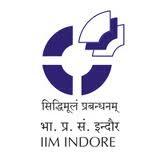 Are you Interested in Indian Institute of Management (IIM) Indore.